If you’re ready to take on the streets of Peoria, check out our certified pre-owned car specials at Acura North Scottsdale. Our inventory of certified pre-owned Acura cars, much like our new Acura cars, come with a full suite of modern technology features as well as the luxury drivers have come to expect of the Acura brand. Once you’ve decided which Acura pre-owned car is right for you, make your way from Scottsdale to our Phoenix dealership so you can see it for yourself. Still considering whether or not a certified pre-owned car is right for you? There are several advantages to purchasing a used car. For instance, buying used can save drivers money, yet a certified pre-owned car still delivers a high level of quality. Be sure to compare vehicles before you make your final decision. 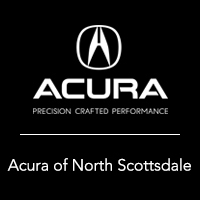 Once you’re ready to test drive an Acura Certified Pre-Owned vehicle, visit Acura North Scottsdale or contact us at (877) 704-2064. We hope to see you soon!